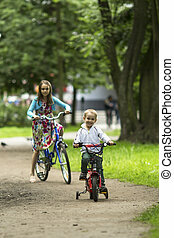 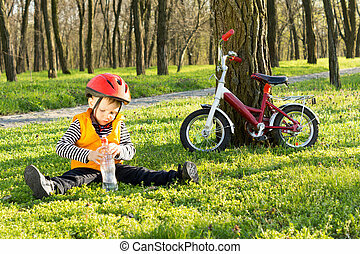 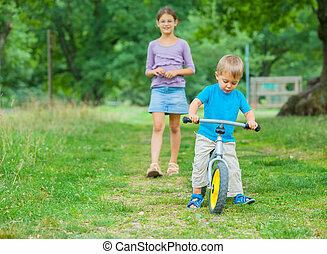 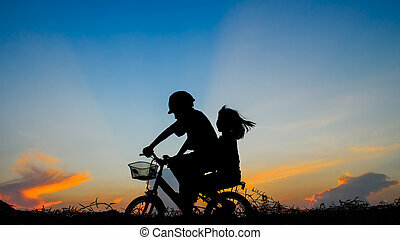 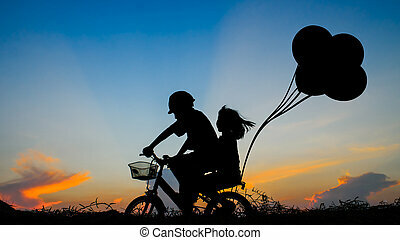 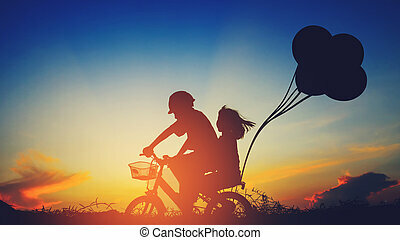 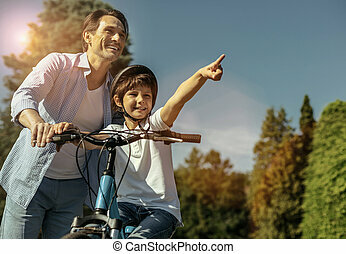 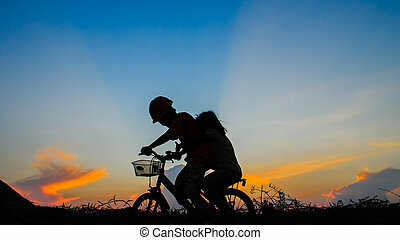 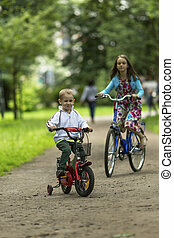 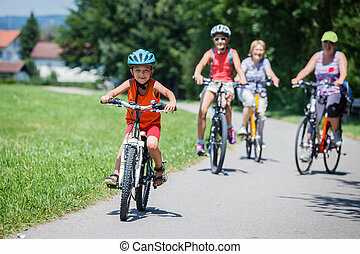 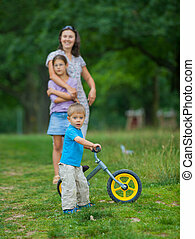 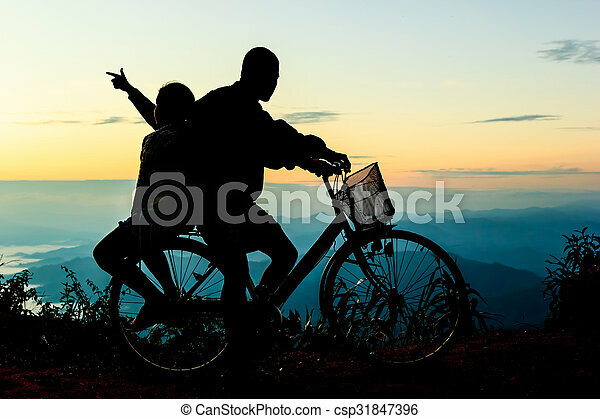 Boy with his sister riding bicycle on sunrise background.silhouette. 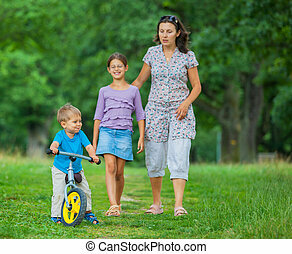 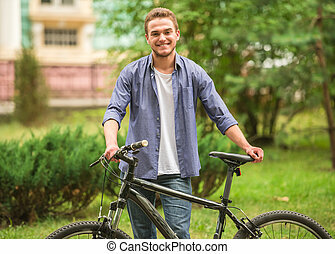 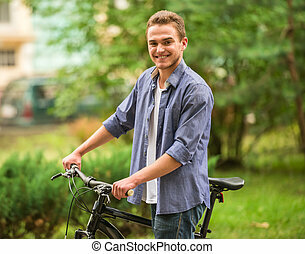 Handsome man standing with his bicycle in the park, looking at camera and smiling. 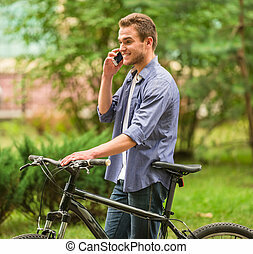 Handsome man standing with his bicycle in the park and talking by phone.